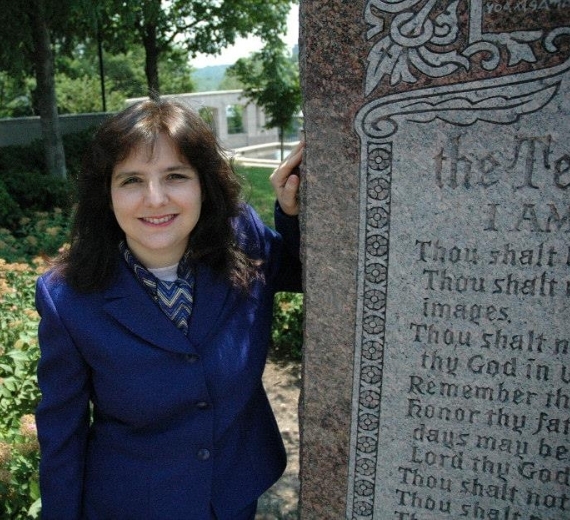 This is a photo of me near the monument of The Ten Commandments at the Missouri State Capitol. Our country has a vast number of gems that made us a great nation. This week is the first week back to session for many legislatures across our country. As I have been reviewing some of the proposed laws, most of them are not improvements to those we already have in place. Regardless of the political party in the majority, all states are passing laws every year that remove more of our freedoms and grow bigger governments. My mother frequently told me “Actions speak louder than words.” When listening to your elected officials, we need to focus on how they vote because that is what will ultimately affect us. A majority of our problems stem from a lack of education; yet we are spending more on education than ever in history! Clearly, the problem is rooted in what is being taught. The education system has been pushing a distorted world view on our children for years. Schools used to teach virtue, patriotism and Biblical values in the classroom, particularly incorporating these principles into history, reading and writing. You may have heard a lot about the “Common Core” education program. Those on the Left like it because it creates a bigger governmental structure and will allow Washington to dictate curriculum for everyone. Some in the Republican Party oppose it, but not enough to make a difference because those who believe in smaller government are in the minority. Even Mike Huckabee, a popular conservative, went on the record as supporting Common Core. After catching flack from some of his supporters, he is now backtracking, but what are we supposed to think when a respected conservative and an experienced office holder changes his mind so quickly on such an important issue? Common Core seeks to create educational standards, but the new power structure is then able to impose misinformation upon all the students. For years the public education system has been moving toward a more centralized “one country” standard. If you want to read more about Common Core, there have been plenty of articles written already. My purpose in writing this is to help you be aware of Common Core . The goal of our newsletter is to help you understand the proper response to our predicament. First, we should not be surprised. This is not something new that just started. It has been going on for years with new names and labels. If all the Democrats like it and half of the Republicans like it, there is no possibility it will go away. Those most upset about Common Core believed the public school system was the primary source of academic (and sometimes physical) nurturing of the children. Some still think the public schools and other governmental institutions can make up for all that is lacking in the home. If you have friends among that group, you need to gently help them understand that the schools cannot be the “be all, end all”. It has always been the parents’ duty to educate their children. If the threat of Common Core is waking up some to the fact that we could lose this right, then we have one positive outcome. Another threat of Common Core is the rewriting of America’s history. This has already been accelerating since World War II. Without a proper understanding of our heritage, we cannot understand our identity as a nation. If there is a conflict between stories of what happened in our nation’s history, the only way to get to the truth is to go back to the original documents which paint a very different picture from what we are being taught today. Those who seek to secularize our past do not have original documents to back up their claims, so their distortions are exposed as an effort to promote the religion of Atheism. Some people think we can separate religion from politics. Not possible! Your religion is your belief system. Your politics is your belief system. The two are inseparably intertwined. When a politician says he personally thinks abortion is wrong and then votes to allow pre-born babies to be killed, it shows incoherence. Even when the State of Missouri was debating human cloning, our governor who claimed to be pro-life was called incoherent by the National Review. One year for the Independence Day Celebration, I was in several parades. 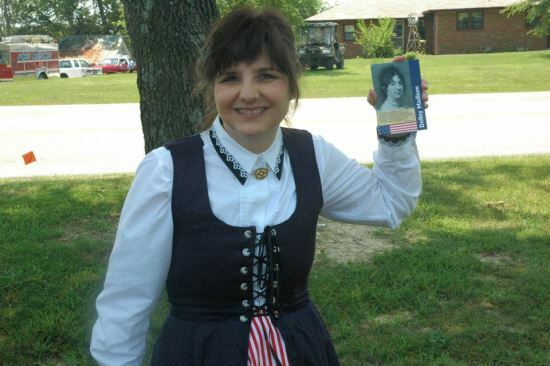 To make it fun, I dressed up like Dolley Madison and passed out cards with her likeness on it. Dolley was also determined to preserve the heritage of our founders. We had a lot of fun and hopefully the tens of thousands of parade watchers received a history lesson. If you were wondering about the role religion played in the lives of our Founding Fathers, you will enjoy our podcast this week. This week I had a great conversation with Dr. Catherine Millard, author of the book, The Rewriting of America’s History. She did a great job of explaining how our country went off the tracks. Our understanding of history has everything to do with us understanding our identity, our heritage and our patriotism. Dr. Catherine Millard spent 22 years of her life researching original documents from the Library of Congress and shares some of the gems with us. 1.) We need to hold people, school boards and all politicians to a standard of accuracy in our history. Don’t let anyone get away with tarnishing the reputation of someone who cannot defend himself, especially our Founding Fathers. Get informed and refuse to allow distortions for the sake of pushing a skewed view of history on any one of us. Can our government make good decisions if nobody understands the foundation of our structure? 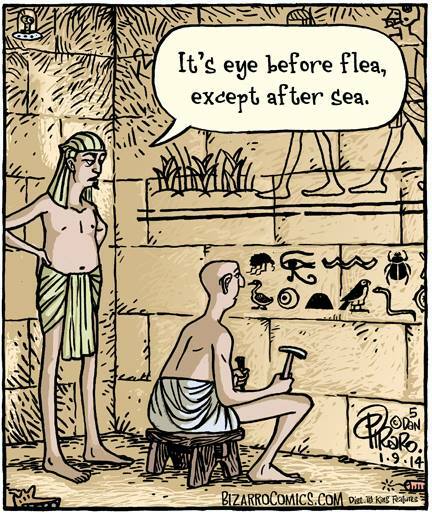 Is our history being rewritten? If teachers and media outlets are distorting the truth, how are we supposed to get the facts? Dr. Catherine Millard, author of The Rewriting of America’s History, will share some little known details from original documents and fill in the cracks on our understanding of our origins as a nation.